Among the difficulties dealing with Italian wine, complexity is one of them, different compared to the French one. While beyond the Alps you get lost in the many classifications of Bordeaux and Burgundy, which are the most acclaimed territories along with Champagne, in Italy the difficulties of understanding begin with getting acquainted among the many vines and the many territories. But above all among the formers, the variety of grapes, really many - almost six hundred - that bear witness to a biodiversity and a geography so articulated as to project the Italy of wine as a unique case in the world. A primacy wealth, a point of strength as well as weakness. It is hard to explain to the American or Chinese people what is a Magliocco, a Sardinian Bovale or one of the ten Malvasia cultivated from north through south Italy. That's why Stevie Kim and Ian D'Agata try it with a book written entirely in English to explain to the world the great complexity of the Italian vineyard. Italian Wine Unplugged - Grape by Grape is the title of the book that can be purchased on Amazon at the moment, but that will be talked about during next Vinitaly event written by the new couple. She is the director of Vinitaly International and for those who know her she is the tireless and perky Korean woman who moved to US and married Italy. He, son of a foreign mother living many years abroad, is one of the greatest connoisseurs of Italian wine. Before many others, he sensed the need to tell Italian wine outside the national borders. Today he is the scientific director of Vinitaly International Academy. The book is a large volume with over 560 pages. Nonetheless do not be scared by the number of pages. It is easy to consult, full of maps, images, sheets of individual vines and is mainly a descriptive list of the hundreds and hundreds of vines that characterize our Belpaese. 430 vines are described. It is a fascinating and complex journey that is worth telling. 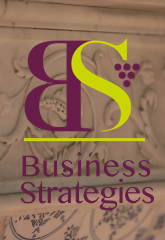 Thanks to the use of an immediate and simple English suitable for both experts in the sector and wine neophytes. Kim and D'Agata have realized that if we can explain in this way the great Italian biodiversity we could actually change direction. And they do it in a unique way. Because knowledge can only feed the pleasure of everything we eat and drink. The appeal generated by the idea of drinking a wine produced from a variety of grapes that cannot be replicated elsewhere is great. Therefore Italy really has a winning card that in reality we are starting to use in the most difficult games. And this is only the beginning. The usefulness of the book, for the lovers, the insiders, the cellars and therefore the producers themselves lies in its great informative capacity. It helps those who know little about Italian wine. 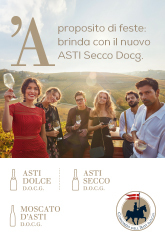 On the other hand it reminds those who know Italian wine of our primacy of biodiversity and of the need that the disclosure of this heritage is a fly-wheel to leverage on. For Italian wine abroad it is a favorable moment, as long as the quality is never low. The comments to the volume of Steven Spurrier in Decanter reported on the back cover are worth everything. "Italy possesses 590 grape varieties ... impossible to learn about this? Not now this wonderful book ... ".